You may have read our previous blog about cosmetic dentistry trial smiles. Today we’re going to put our money where our mouth is and show you how it’s done. Dr. Emery’s cosmetic dental assistant, Laney, has always wanted larger teeth and a broader smile, but didn't “need” porcelain veneers. In essence, aside from her cosmetic concerns, Laney’s teeth were in otherwise perfect shape. 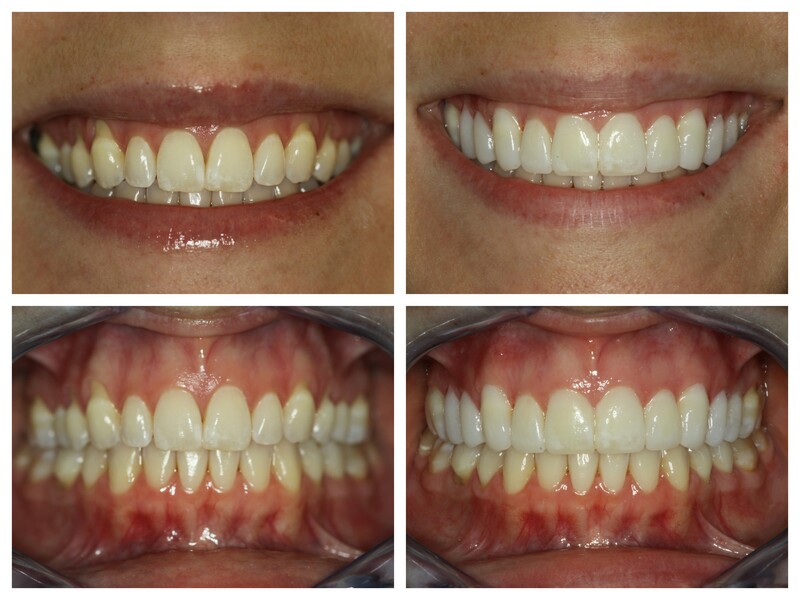 Laney is a perfect candidate for a no or minimal prep porcelain veneer case. Here’s the rub. Even a cosmetic dental professional, like Laney, can have reservations. This is particularly common when considering any kind of elective cosmetic procedure. Will it be worth my time and investment? Enter “trial smile!” A proverbial, for lack of a better term, “try it before you buy it” experience. Laney had the opportunity to see what the possibilities were, and was needless to say, ecstatic over the outcome. It is absolutely astounding to see what a dramatic improvement it made in her smile. In just a few minutes we were able to take her smile to the next level and grant her the assurance she was looking for prior to going all in. The best part is, because Laney’s teeth were healthy and strong to begin with, we were able to take the most conservative approach to her smile makeover, using minimal or no – prep veneers. Meaning we removed little to no tooth structure to create this smile masterpiece. Laney was kind enough to allow me to make a video of her experience to share with all of you. The vid is a little jazzed up for your entertainment, but the jist is that it only took minutes to create Laney’s trial smile. Imagine the possibilities. If you or someone you know is considering cosmetic dentistry in Chicago, contact Chicago cosmetic dentist Dr. Jessica Emery and the team at Sugar Fix Dental Loft for a consultation. You could “try” the trial smile and open the doors you didn't even know existed. PS Laney loved her “trial smile” so much she decided to go for it and have Dr. Emery proceed in taking impressions for empress porcelain veneers. Her smile will be forever in a couple of weeks. Stay tuned for a follow up blog.